When I think of cooking in cast iron, the Old West invariably comes to mind. Chuck wagons, cooking over an open fire, big iron kettles of beans, and cornbread — delicious, rich, and satisfying. My grandmother still used cast iron pans, but she had her aluminum, stainless steel, and modern non-stick pans as well. While I’m all for progress, sometimes modern conveniences can come with modern, unwanted side effects. The non-stick coating used on cookware today can actually be harmful to our health. It’s made from a chemical called polytetrafluoroetheylene (PTFE) which, when heated to high temperatures, emits toxic fumes that may cause flu-like symptoms in humans, and that have the potential to kill pet birds. In general, exposure to PTFE and similar chemicals in the polyfluorinated chemicals (PFC) family can result in low birth weight, elevated cholesterol, abnormal thyroid hormone levels, liver inflammation, and weakening of the immune system. Chemicals emitted during the manufacture of non-stick cookware enter the ecosystem, potentially causing serious harm to wildlife. Cast iron cookware doesn’t come with any of these unwanted side effects. It’s just iron. With a little care and lots of proper seasoning, a good cast iron pan will actually become non-stick and can last for generations. I’m happy to say that I am now the proud owner of my grandmother’s cast iron pans. But what can you cook in a cast iron pan? The better question is, what can’t you cook in one? 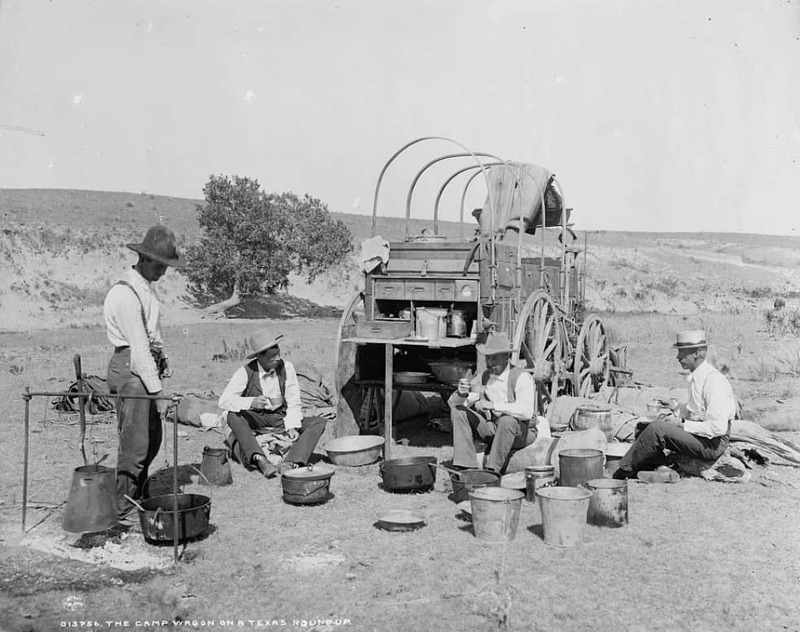 Let’s start with your chuckwagon basics: beans and cornbread (vegetarian-style, of course!). Skillet Baked White Beans is a great basic baked beans recipe but it does call for bacon and chicken broth. To make it veg, simply omit the bacon and replace the bacon grease with olive oil. Instead of chicken broth, use vegetable broth. Keepin’ It Kind offers up a Vegan Gluten-free Skillet Cornbread recipe that uses cornmeal and flaxmeal plus oat and almond flour, and adds in a little smoked paprika and maple syrup for some smoky sweetness. If you’re okay with dairy, try this rich and sweet Brown Butter Skillet Cornbread. Once you’ve gotten your Old West fix you can move on to trying some other favorites, cast-iron style. Tieghan Gerard from Half Baked Harvest has a skillet lasagna recipe that will surely knock your socks off (and put you into a very sound sleep from all the carbs). While it’s definitely not low-cal, it does look delicious. You can substitute plant milk for the regular milk, but I don’t think vegan cheese would work in this one. Check out the recipe here: Quick and Simple Springtime Skillet Lasagna with a Mediterranean Kick. And then there’s pizza…wait, what? Pizza in a cast iron pan? Sweet as a Cookie‘s recipe for The Best Cast Iron Pizza does require you to start the dough the night before, but it’s still super-simple and it looks delicious. 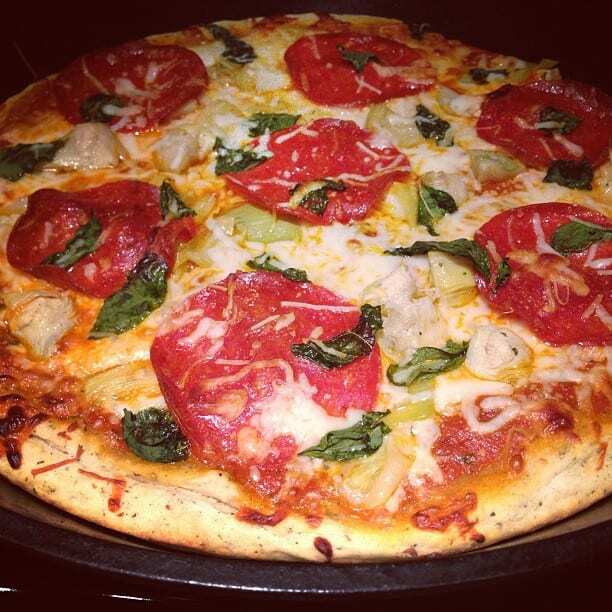 Never mind the pepperoni in the original recipe; just substitute your favorite veggie toppings and bake it up! Vegetables can easily get the cast iron treatment. Derek On Cast Iron has a super-simple way to prepare Skillet Roasted Vegetables. While you’re on his site, be sure to check out the rest of his cast iron vegetarian recipes as well. For a satisfying fall and winter treat, try this Curried Butternut Squash and Brown Rice Skillet. Summer veggies lend themselves perfectly to the paella-like Basque Vegetable Rice. Looking for dessert? 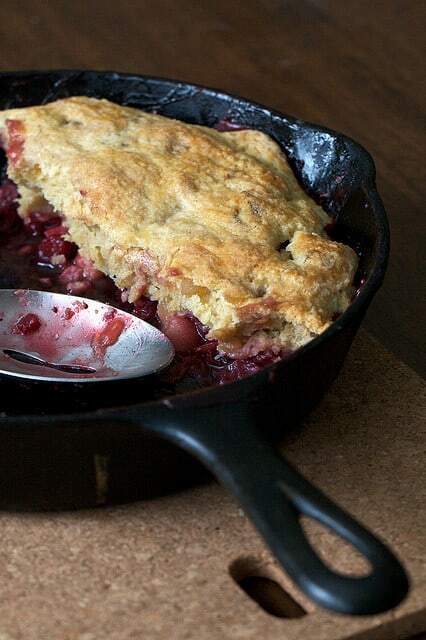 How about some Peach & Blueberry Cobbler, Speculoos-Swirl Skillet Brownies, or Vegan Cast Iron Skillet Apple Crisp? If you’d like to learn more about how to choose healthy cookware, please listen to episode 107 of the Vegetarian Zen Podcast, Is Danger Lurking In Your Kitchen Cabinets?. Previous Post: « VZ 107: Is Danger Lurking In Your Kitchen Cabinets?